A recent report from State Comptroller Thomas DiNapoli’s office offered a sobering look at safety in some of New York’s public schools. A random audit of seven schools during the 2011-2012 school year showed that the schools failed to correctly report instances such as student violence, weapons possession, and sexual offenses. 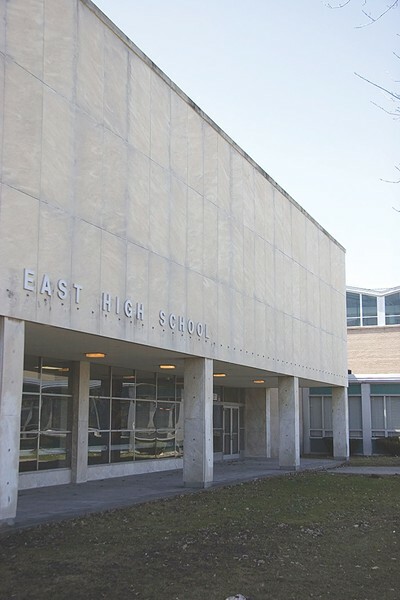 Rochester’s East High School was one of the seven schools, and auditors found that officials at East reported 256 incidents instead of 769 — less than half of what should have been reported. Two of the incidents involved sexual offenses and nearly a dozen cases of weapons possession were not reported. But the safety concerns at East shouldn't surprise anyone. If you've been following the developments that led up the University of Rochester’s intervention at East – the UR assumes management responsibilities for the school later this year — then you probably know that East has a history of safety concerns. Low attendance and low grad rates at East have been accompanied by high suspensions, often related to disruptive student behavior, weapons in school, and fighting. What’s more important is that the report reveals serious challenges facing schools such as East. Can large urban schools with roughly 1,700 students be managed effectively, particularly when a large percentage of the students need significant academic support? How do superintendents create stability when both urban schools and communities can be so transient? Are students, parents, and the public in agreement with how the state defines disruptive behavior, violence, or what constitutes a weapon? DiNapoli’s audit assessed how well schools are complying with the reporting requirements of the SAVE Act, which says that public schools must have a safety plan. And that plan has to include how staff should respond to emergencies, a code of conduct policy, and other steps needed to help protect students and employees. Disruptive behavior and incidents of violence in every public school are supposed to be reported to the state annually. But the Violent and Disruptive Incident Report isn't of any consumer value unless the information is accurate. We don’t know exactly why the administrators at East under-reported incidents; It appears to be plain old human error. “At that time, the school was reporting only incidents of misbehavior that resulted in student suspensions, and auditors made clear that students who received alternatives to suspensions should also be included,” says a statement from Chip Partner, the district’s spokesperson. But East’s problems are not unique to city schools, as the audit shows. And Rochester schools Superintendent Bolgen Vargas said in an interview earlier this week that he wouldn’t be surprised if the under-reporting had occurred in city schools other than East. But he said that he is confident that it isn't happening now; the district is doing a much better job at collecting data and reporting it, he said. Vargas said that he has reached out to the community for help in improving safety in all city schools, citing the district’s work with the Community Task Force on School Climate and Metro Justice to reduce suspensions. Vargas insists that schools like East can be transformed into schools with low suspension rates that don’t need metal detectors or security officers to roam hallways, but that there’s no silver bullet.